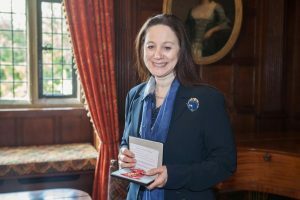 On Wednesday 20th May, Dr Sandy Lerner was presented with her honorary OBE for services to UK culture, here in the Library she founded. 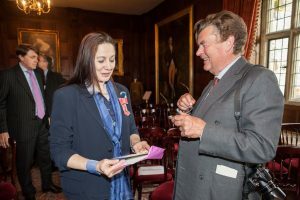 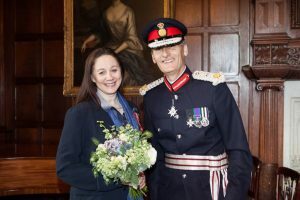 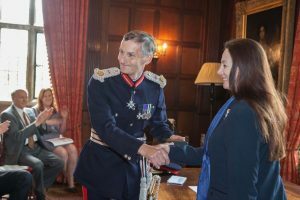 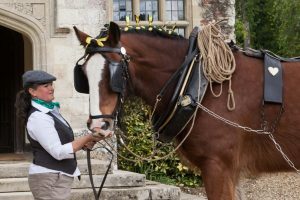 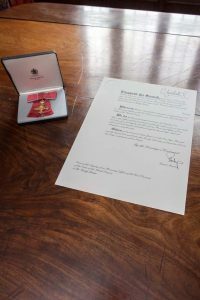 She received special permission to hold the ceremony here and was presented with the award by HM Lord-Lieutenant of Hampshire, Nigel Atkinson Esq. 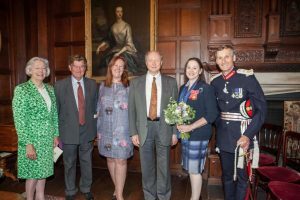 We are delighted that Sandy’s remarkably generous gift, fired by passion and commitment to widening the literary horizon has been so publicly recognised.